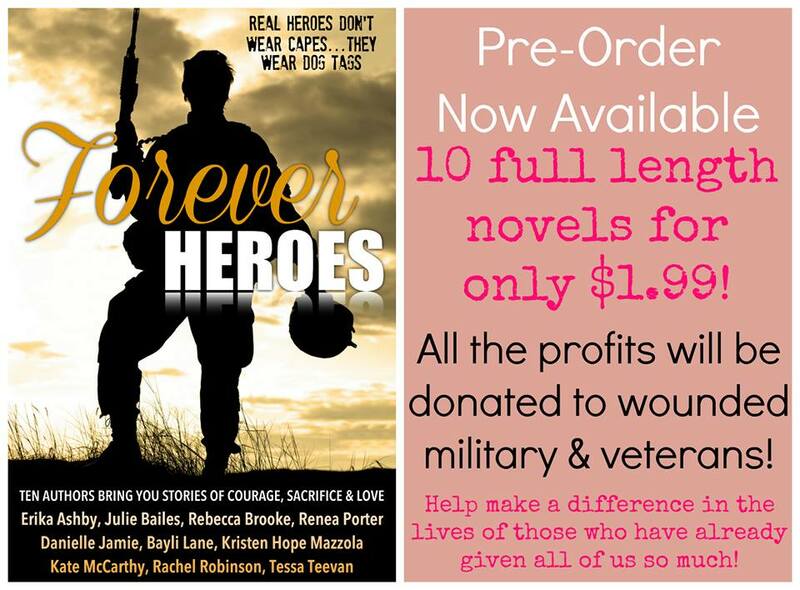 Forever Heroes Anthology Available September 9th! All proceeds go to Wounded Soliders & Veterans! Awesome anthology benefiting Wounded Soldiers and Veterans! Pre-order now. Live tomorrow! 10 of today’s best selling authors bring you 10 full length novels of Courage, Sacrifice, and Love. Releasing September 9th for only two weeks for $1.99! All of the profits will be donated to wounded military and veterans because real heroes don’t wear capes, they wear dog tags! All proceeds will go to Wounded Soldiers & Veterans in the United States and Australia! !